Today, over a quarter of the Internet is powered by WordPress; no one can gainsay the exceptional popularity and gigantic user base garnered by this beautiful platform. This open source platform has started its journey from a simple Blogging tool, and it is incessantly growing into a prolific web development tool. Check out Top Six (6) Best Reasons Why Wordpress is Better than Other Alternatives and Competitors, such as; Joomla, Drupal, Magento, Tumblr, Weebly, Google Sites and Blogger (Blogspot). From blogging to ecommerce, the platform has invaluable traits to support any niche business. It is lauded by the developers' community as well as users across the earth for its amazing benefits. A few of its benefits include, making websites easily manageable, the platform allows one from both tech and non-tech background to flawlessly handle his website, and being a great Content Management System, WP facilitates one to manage the web content and layout with a flair. For the folks who want to create a business website to generate great revenue, and still wondering if WordPress can help deliver profitable results or not, this article will unleash a list of the incredible benefits of running a WP website. Let's ponder into them and understand how the platform can leverage your business. 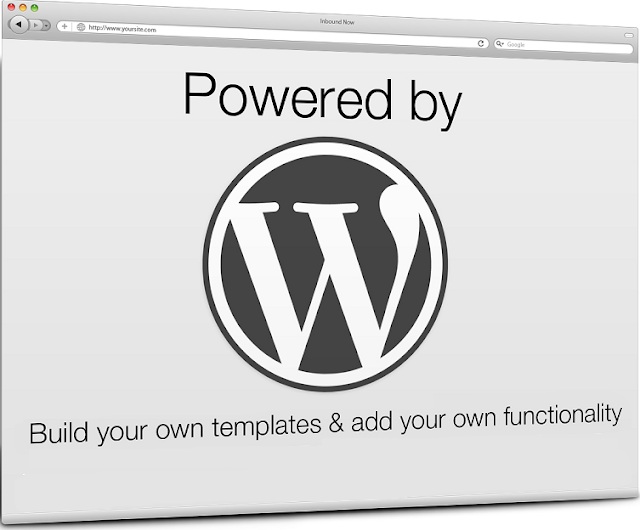 It is extremely easy to get started with WordPress. And, you need not to be a tech savvy or HTML developer for that. An Internet connection and a web browser is all that you need to create a WP website. You can sign up for free at the WordPress.com and get a running website in only a couple of minutes. You can also choose to host your website with a desired domain name by investing in a minimal amount. Thus, if yours is a small scale or a startup business, this platform definitely makes a viable choice. You can then easily transform your starter website into a hosted website as and when desired. Moreover, you can also tailor the website to create a personalized visual appearance. One of the most amazing benefits of using this platform is that you don't need an expert to handle every single aspect of your website; though there are certain things that demand professionals. This CMS empowers the website owners to proficiently manage their sites. Whether you know programming or not, you can easily tweak its basic design and text as per your requirements. Thus, you can save a hefty amount that you would have paid to a professional for the job, and instead you can modify the site yourself as and when desired. WP is known for its gigantic repository that is consistently maintained and updated with solution embracing the latest web trends and market demands. Yes! The huge WP repository includes a whopping number of remarkable plugins. It comprises both free and premium plugins. You can effortlessly integrate a superior functionality in your website by simply installing a suitable plugin. Moreover, with customizable plugins, you can personalize the functions of your site as needed. Whether you want to include a forum, single step checkout, shopping cart, site maps or any media file, you can find a plugin for almost everything. However, you might wonder that WP is not the only CMS that offers plugins, but WP surely does it in an ultimate way. The intuitive interface, powerful dashboard, and easy-to-use back-end of this web development platform make it absolutely simple to handle the look and feel of a WP website. Fortunately, its repository also includes an extensive list of themes, and most of them are customizable. With a little knowledge, you will be able to tailor the appearance of your site, and create a fresh and unique visual appeal. This will again help you save your business budget and overhaul your web design as per your taste with ease. You can even change the look and feel of your WordPress site or blog by using any HTML to WordPress converter online software tools. Creating an online presence is only worth if you can drive potential traffic to your site and proficiently promote your business. WordPress being search engine optimized allows search engine bots to easily crawl through the web content and index the site with better results. Moreover, to further optimize your site for search engines, you can also use suitable plugins like SEO Yoast, All in One SEO Pack, and so forth. Web security is the most crucial concern for online businesses. Being open to the vulnerabilities of getting hacked and malware attacks, enterprises often seek web solutions that can ensure better performance without compromising on security. The WP community consistently makes strives and frequently delivers updates with security fixes; for this reason, it is always advisable to upgrade your WP install to the latest version. WordPress offers a brilliant platform to create relevant blogs and makes it extremely simple to share them over social media websites. You can integrate social website sharing buttons to make it easy for your potential readers to help promote your content by installing an appropriate plugin. This is definitely going to help you bring a great business and boost your brand value. All these compelling reasons make WordPress an impeccable platform that is capable of leveraging any size of business.